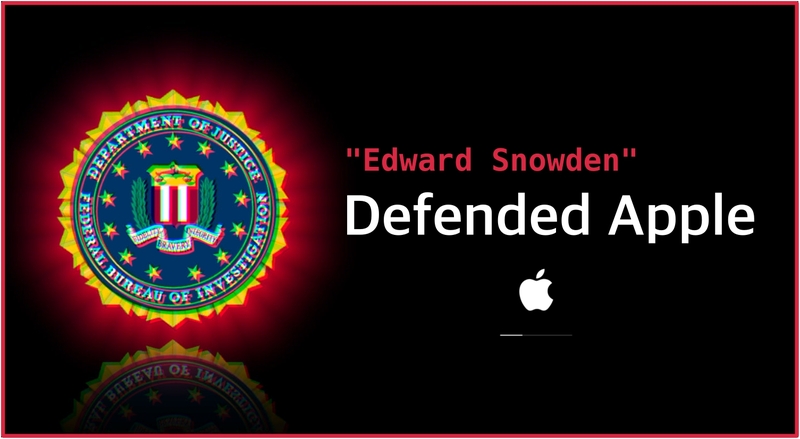 Edward Snowden Defended Apple, FBI need to collect information of iPhone users on San Bernardino Shooting, FBI was unable to figure out shooter’s passcode, which they require to get into their iPhone. and collect more information and Apple seems to keep refusing them and protecting their customers privacy, Because FBI wants them to hack their own Customer iPhone. Apple plans to fight the decision, aided by the ACLU. After these events Edward Snowden started to Defend Apple for its privacy and policy matters for not hacking their own customers. “The FBI is creating a world where citizens rely on Apple to defend their rights, rather than the other way around,” Snowden said Wednesday morning on Twitter. FBI Previously Demanded many times to get access to smartphones, but mostly tech companies keeps refusing them, instead increasing the security to keeps their customers data private and secure. Cryptographers, the scholars who build security into technology, have unanimously warned that special access is a dangerous idea. To them, this isn’t about security competing with privacy. It’s just about security.